technically, just about every bartender (save for volunteers, hobbyists and slaves) are professional bartenders. professional simply means that they are paid to do it. Then I’m a professional one. But this guy is a GOD. A god? I think not. 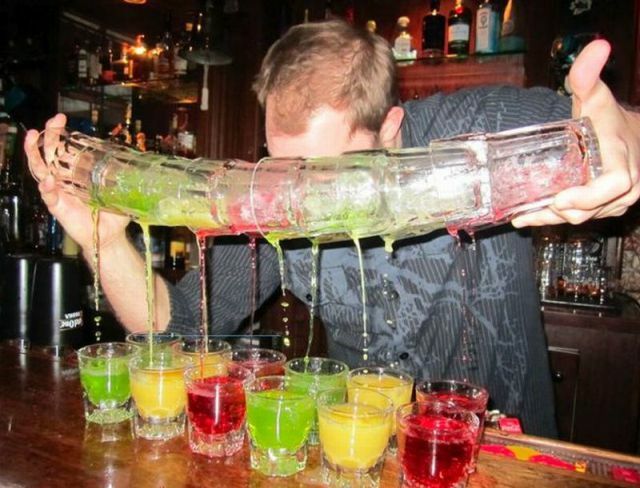 Any good bartender picks up and learns tricks like this to drum up some cash when it’s slow.